Hey guys, Jay here. Do you ever have those days where you wash your brushes in the night thinking they will dry over night, and wake up to do your makeup to find out your brushes are still wet? I sure have. But today I'm going to give your guys an easy makeup look to use when your brushes are wet. Enjoy! Nothing wrong with applying your base with your hands, am I right? To add some color to the cheeks, a cream blush is perfect because all you need is your fingers. The Too Faced Lip and Cheek Cream works great! Just apply the product from your fingers, onto your cheeks and blend! For eyeshadow I go with cream products as well. 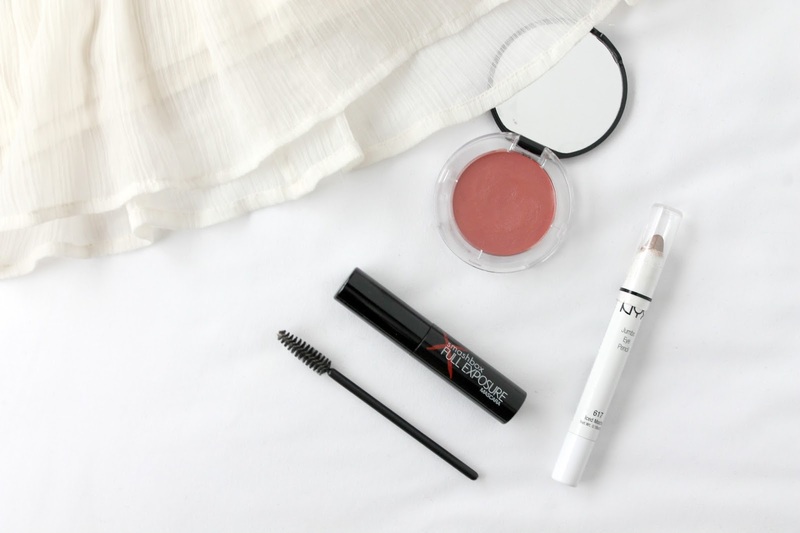 The NYX Jumbo Eye Pencils are awesome, just make sure to use a primer! With its pencil form it's easy to just apply directly onto the lid and blend with your fingers. Then you can just easily finish off the eyes with a couple coats of mascara. Finishing with brows. If you usually fill them in with a brush, go for the tinted brow gel! If not you can use a clear gel or easily just brush them out with a spoolie. What products do you like when your brushes are wet?